The Delta College concert season has begun with Music for Remembering, the 2011 fall Festival of Choirs concert on Wednesday, Oct. 5 at the Atherton Auditorium. Delta Singers a chamber choir of approximately 30 members, Delta Vocal Jazz, a voiced jazz ensemble featuring a jazz combo and less than 20 singers and Delta Concert Choir, a large-vocal ensemble, all took to the stage conducted by German Aguilar, director of choirs at Delta College. 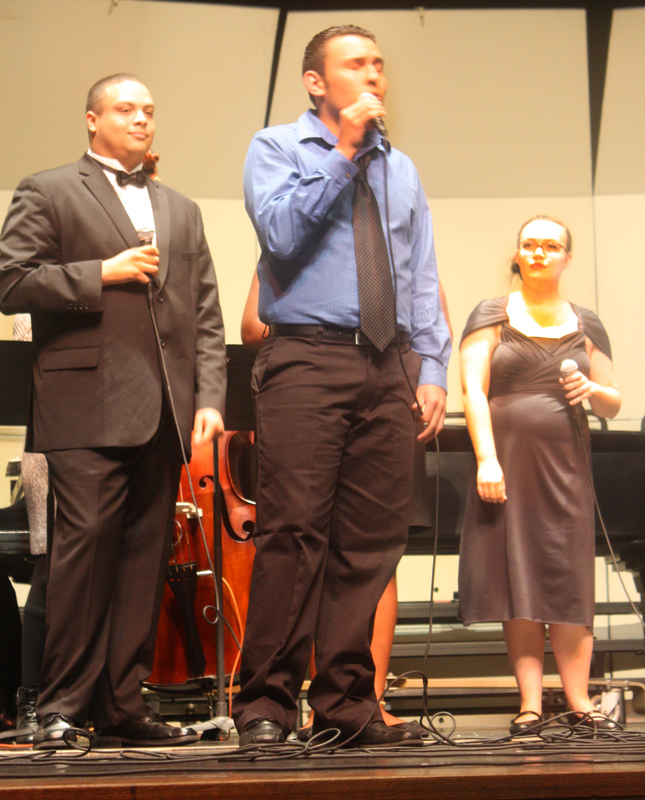 Student soloists Sunny Vang and Heather Anderson opened the concert with jazz standards voted best by their peers. Delta Vocal Jazz performed three pieces: “Stolen Moments,” “Blame it on my Youth,” and “Bumble Bee.” Each piece included student solos. 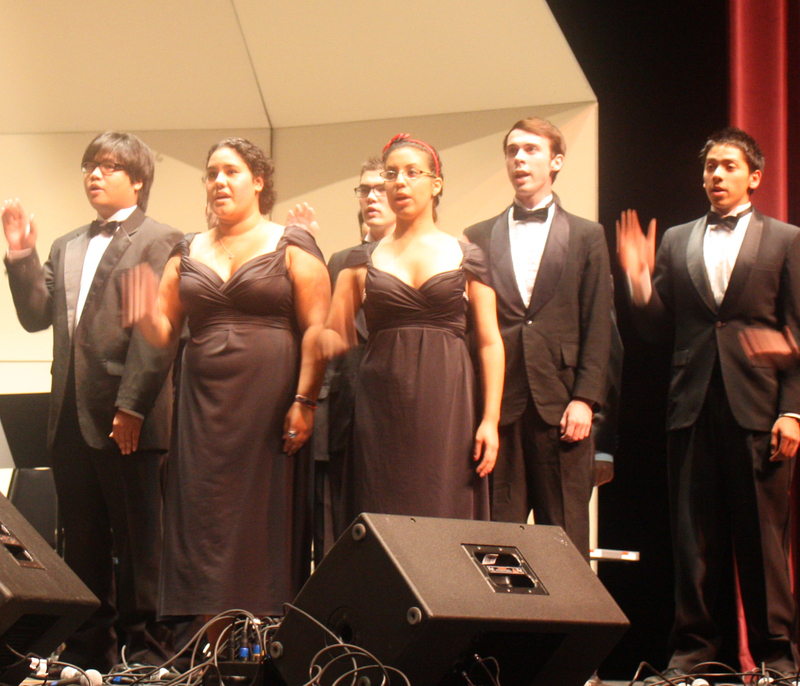 The Concert Choir performed five pieces including a Sept. 11 tribute. The tribute piece was entitled “Requiem” by Eliza Gilkyson and had a special spoken word component added to it by Tyff Hoeft, a concert choir alto. The entire concert had works that reflected back onto choral heritage, Sept. 11, hope, unity, corners of the world, past loves and social times. This concert is the first of many to be held in October. The Delta Jazz Band and Delta Concert Band will be performing later this month. The Delta Jazz band will be playing on Oct. 10 in the Atherton Auditorium directed by Brian Kendrick. The band is playing music from Chick Corea, Otis Redding Bob Florence, Thad Jones and Gordon Goodwin. Along with multiple student soloists, the concert will have Jazz Steam performing, a professional jazz group made up of Delta College and University of the Pacific faculty. Delta Concert Band will be performing on Oct. 18 in the Atherton Auditorium under the direction of Art Holton, director of bands. The concert will showcase student soloists.